The Good Dinosaur’s heartfelt story about friendship and determination will easily become a family favorite! It’s full of love and adventure too! Executive producer, John Lasseter describes The Good Dinosaur as, “one of the most emotional movies we’ve ever made.” The dinosaur family consists of Momma, Poppa, Arlo, Buck and Libby. Arlo is the smallest of the family and finds himself always falling short when it comes to farm life and chores. He’s determined to make his mark (literally) and sets out to do just that, but not by choice. THE GOOD DINOSAUR – Pictured (L-R): Momma, Poppa, Arlo, Buck, Libby. ©2015 Disney•Pixar. All Rights Reserved. While on his adventure, he meets an unlikely friend, Spot, who’s lost his family. Although Arlo fights the friendship, the two quickly realize they need one another. Along the way, Arlo and Spot meet T-Rexes and become an unlikely team. The sweeping landscapes provide a beautifully detailed backdrop for the film. It’s really incredible to see the movie unfold. 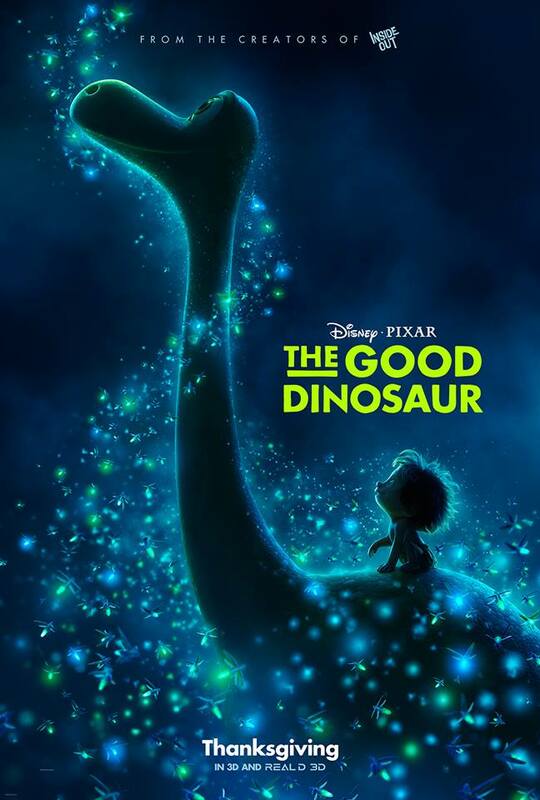 A TRIO OF T-REXES Arlo must face his fears and three impressive T-Rexes in Disney Pixars The Good Dinosaur. Featuring the voices of AJ Buckley, Anna Paquin and Sam Elliott as the T-Rexes All Rights Reserved. The Good Dinosaur is a wonderful film that I highly recommend for all families! It really brings a sense of family and friendship to a film like no other before. You will fall in love with Arlo, Spot and the rest of the characters in this heartwarming film. 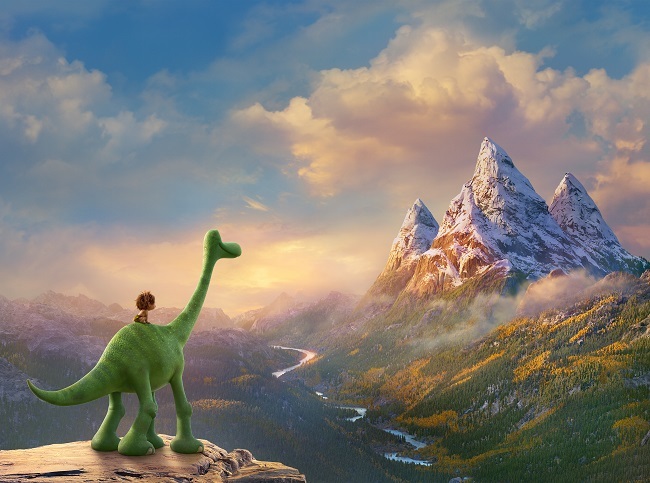 See The Good Dinosaur in theaters Thanksgiving Day! My four year old is excited to see this movie since he loves dinosaurs. Thanks for the review!